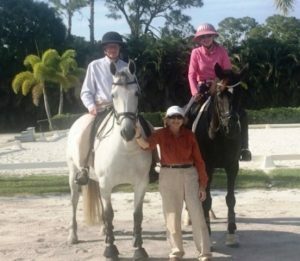 At Teamwork Dressage we train and coach amateur and professional riders, young horse prospects, USDF levels and FEI levels for dressage, help with the training of problem horses and accessing potential in dressage horses. 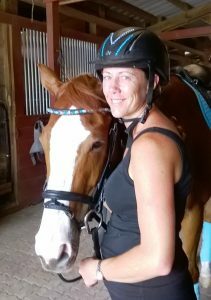 We coach, train and teach all types of dressage – United States Equestrian Federation dressage from Training level to Grand Prix, Western Dressage Association, from Introductory to Level 4, Eventing Dressage, United States Eventing Association, from Training level to FEI. 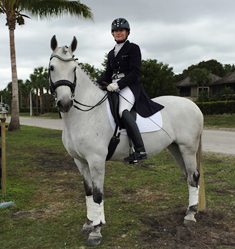 Way back to BC horses have been trained for war by teaching dressage. Xenophon, named the Father of Dressage, wrote of training his horses to piaffe and passage to trample enemies, rearing to avoid the sword, lateral work to evade attack, speed both in straight line and curves proved a big advantage. 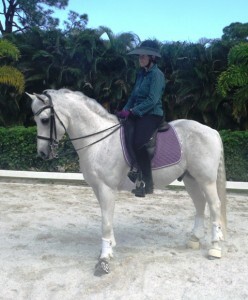 Today Dressage has developed to an International sport, training guidelines are strict and humane. 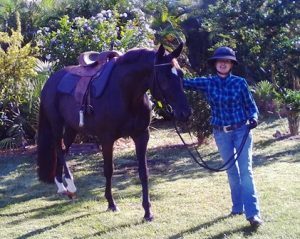 We must be able to train a happy and healthy horse who loves his job. 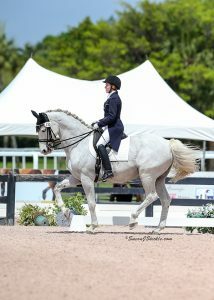 This requires rider skills of bio mechanics where we sit in a position that is centered over the horse’s center of gravity. 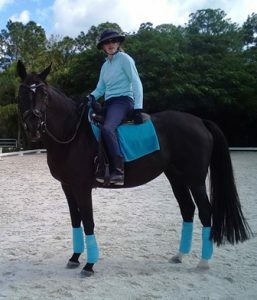 Training the horse and rider can be a wonderful experience as the rider learns to maintain a good position and to use their core to show the horse where to go, at what speed to go and whether the line is straight or curved. 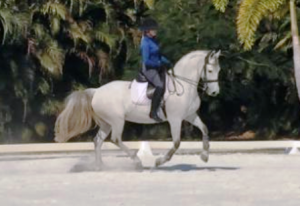 We offer trailer or ride in lessons, lessons on our school horses if available, lunge lessons and many training options if you board at Teamwork Dressage. 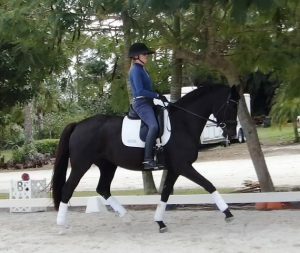 These options are for part time training 3 lessons a week or full time training 5 lessons a week. 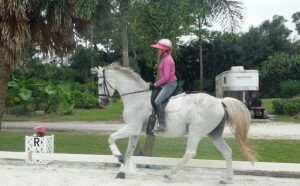 We offer trailer in /ride in options for a package of 10 lessons at a discount. See Pricing. 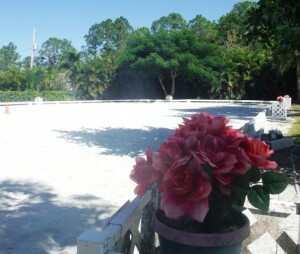 At Jupiter Farms we have great options for trail and canal riding with sand roads and grassy canals.